Will We See Kyle Roller in 2015? One of my biggest complaints about the Yankees is that there aren’t enough promising players in the higher levels of the minor league system. There’s not really anyone ready to step in and help should something go wrong on the big league club. Finally, we have a couple of guys we might see in 2015, and that’s exciting. We talked about Rob Refsnyder already (although the acquisition of Chase Headley should diminish Refsnyder’s contributions in 2015), so now let’s talk about another guy, slugging First Baseman Kyle Roller. Now, I never really heard of Roller in much great detail until he got to AAA Scranton last season, so let’s all get to know him a little bit better right now. Roller, who will be 27 come opening day and hails from Rockingham, North Carolina, has enjoyed a steady climb through the system since the Yankees took him in the 8th round of the 2010 draft out of East Carolina University. He showed his power potential the very next season, slashing .284/.371/.482 with 16 home runs in 110 games between Charleston and Tampa. In 2012, he stayed in Tampa and hit 18 homers and drove in 85 runs in 121 games as a 24 year old. 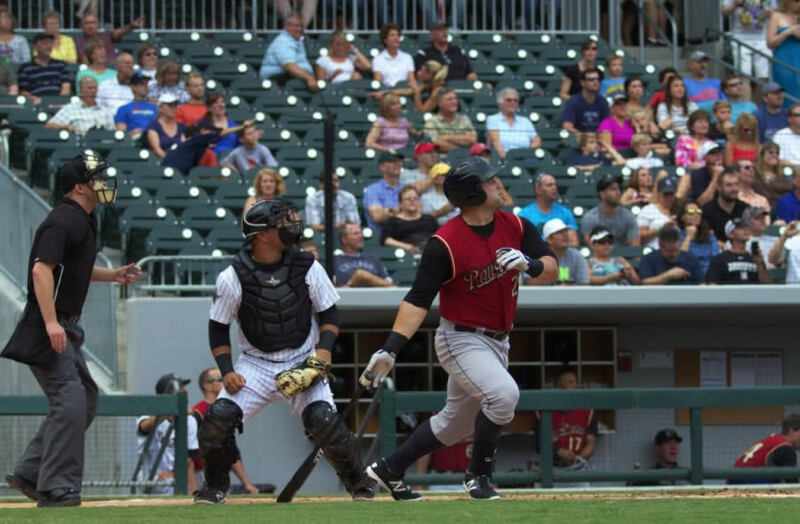 In 2013, he got a full season at trenton where he struggled a bit, slashing only .253/.347/.427, but still managed to hit 17 homers and drive in 69 runs. Last season, Roller enjoyed a bit of a breakout. He started in Trenton, where he hit .385/.456/.808 with 9 homers in just 21 games. The Yankees decided to give him a shot in AAA, and Roller kept on hitting as a 26 year old. In 104 games at Scranton, Roller hit .283/.278/.497 with 24 doubles, 3 triples and 17 homers, driving in 51 runs in the process. Those numbers got him in the conversation for 2015. The scouting report for Roller is pretty simple: He’s a big boy at 6’1, 250 lbs, and he can can hit the ball with authority from the left side. He also knows how to take a walk, although he’s not a guy that’s going to lead the league in that department or anything. The fact of the matter is that he can get on base and drive in runs, which is something the Yankees have been desperate for over the last couple of seasons. According to the good folks at Pinstripe Alley, he has even made a conscious effort to go the other way over the last year, which has shown up in his numbers (can someone please show this post to Tex, so that he knows that people can actually do this?). There are some negatives to Roller’s game, however. For one, he’s not going to be much of a help on defense. He plays First Base, and the rest of the Yankees infield defense should be well above average for the next couple of years at least, so it shouldn’t matter too much… but he’s no Teixeira on the field. He also strikes out more than the average player, racking up more than one per game throughout his minor league tenure, and has had documented struggles against breaking balls in the past. So, will we see Roller in 2015? The Yankees have an interesting roster. Prado is the current starting Second Baseman, but he’s also probably the best backup they have for Third Base and the corner Outfield spots (sorry Chris Young). Alex Rodriguez is currently penciled in as the backup First Baseman, assuming he’s not terrible at the position come Spring Training. That being said, if Mark Teixeira gets hurt, as he has been doing fairly consistently since 2010, they don’t have a real, established backup at First Base (yes, even with A-Rod there). Could Roller be the guy the Yankees turn to if the inevitable happens? If Roller gets off to a hot start in AAA, then I don’t see why they wouldn’t give him a shot. The defense would suffer a bit, but they’re going to be so good around the rest of the infield, that it might not matter. Last season, this team was desperate for offense, and Roller could help if that’s the case again this year. I think that, at the very least, Roller will get a September callup if he performs well at AAA, but I do hope to see him sooner. Good luck to you this season, Kyle. Hope to see you in the Bronx at some point.